The United States Supreme Court decision (PDF) this week in favor of Hobby Lobby has struck a cord and again raised the level of discussion around the subject of corporations as people. For my religious conservative friends it is a win for religious freedom and my liberal friends an attack on women’s rights. This case would likely pass a litmus test for both of those statements. However, the effects this will have on corporate governance are far broader and will likely change much of how we expect corporations to behave. While Hobby Lobby has won their day in front of the Supreme Court, the court of public opinion and free market competition from other companies has probably just begun. Just look at the troubles of Chick-Fil-A in 2012 and Mozilla CEO, Brendan Eich’s ouster earlier this year for what might be in store for publicly (albeit legally) repressing the rights of others (imagined or otherwise). What is far more intriguing about this case is what is buried in the 95 pages of judicial commentary or “dicta” of yesterday’s ruling. In 1919 the Michigan Supreme Court ruled in favor of the Dodge brothers in a lawsuit against the Ford Motor Company. In the commentary of the ruling the court made a non-biding statement that “a business corporation is organized and carried on primarily for the profit of the stockholders.” As covered in my book Corporate Empathy this opinion while not law itself has been treated as such and allowed corporate executives to justify what would otherwise be considered questionable ethics. The Hobby Lobby ruling came from a higher court and therefore supersedes the out-dated Michigan court dicta. 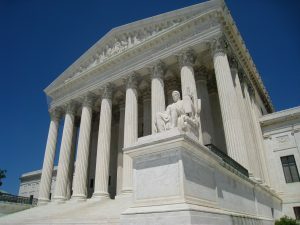 The 2014 opinion of the Supreme Court of the United States reads that a corporate “person” has a purpose “to provide protection for human beings. A corporation is simply a form of organization used by human beings to achieve desired ends.” The ruling continues to outline that the obligations of a company are to the “people” of the company “including shareholders, officers, and employees” and does not designate that one of these groups has a priority over the others. Deeper into the ruling the court goes so far as to explain that “not all corporations that decline to organize as nonprofits do so in order to maximize profit” further confirming that the purpose of a corporation is no longer simply to maximize shareholder profits. The court did attempt to limit the scope of it’s ruling to “closely held” corporations where less than five individuals own a majority of the stock. However that definition would include Google and Facebook as closely held companies. Closely held or not, the definition of corporate purpose was expanded. Fears that this is a “slippery slope” to fanatical religious corporations wreaking havoc on the American people are unfounded. In fact it is more likely to have the exact opposite effect. Who is to say that the executives of a company sincerely believe in the teachings of Buddha decide that their company should act as one with the environment, employees, customers, and shareholders? Yvon Chouinard, founder of Patagonia seems to hold this view for his company. A more mainstream example of a CEO compelled to act in the interests of employees might be Starbucks CEO Howard Schultz who stated two weeks ago that “we as a company want to… create access to the American Dream, hope and opportunity for everybody” when announcing the Starbucks College Achievement Plan. A CEO could express their “sincerely held” spiritual belief in the simple statement, “do unto others as you would have them do unto you” as understood in the Golden Rule. The point of all this is that while you may not agree with the subject matter of the Hobby Lobby case, the ruling has provided legal protection to numerous truly empathetic causes. As I covered in March, for companies like CVS, Chipotle, and Apple, who have now included sustainability, climate-change, and general consciousness in their business plans; this ruling offers protection from conservative investment groups like the National Center for Public Policy Research (NCPPR) who no longer have the shareholder maximization claim to threaten legal action. We have two choices now. For almost 200 years US Courts at all levels have determined that corporations are “people” and there is no logical possibility for that to be reversed. So we can complain about how poorly that has worked out in our past of we can begin to celebrate and encourage the examples of good corporate citizenry that we have today. I believe that if corporations are people, with this ruling many of them now can and will act like adults. Besides, Karma will get the ones that don’t. We can only hope, Vinny. We can only hope. I appreciate your optimism and enthusiasm for the perspective in this article, and do hope that will take further hold to advance the notion that any and all for-profit businesses are about more than merely profit. May the dicta (as you quite aptly point out) of this USSC opinion promote the notion of incorporating greater social responsibility into business, even if the interpretation of the law (and resulting legal decision) may have arguably done the opposite. What I truly hope iw that this leads to some actual legislative change that clearly identifies the differences between the definitions of “legal person” and human being as far as legal rights are concerned. Corporate formation is (or maybe should be) akin to licensure – a permission to operate in a certain way, so long as certain (higher) standards are followed. One does not need to have a license to be human – a status that carries with it those certain “inalienable rights.” With a license, some of those rights would be alienable, depending upon behavior, activities or results produced. But maybe this opinion and the discussion it brings about will get us closer to recognizing that corporations really are NOT people, albeit people operating behind and benefiting from a ‘corporate veil’ that ‘should’ include some very transparent standards of operation. May this lead the way toward the Benefit Corporation becoming the standard for all corporations, not just the special few. We can only hope that we’re actually moving in that direction. I certainly hope so.